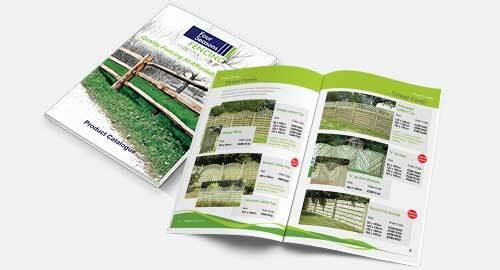 View our latest brochure to see our full range of fencing products and services. See online or request your brochure today. We have a great range of fencing and landscaping products to suit almost every need. From small wooden fences to large industrial solutions. Please browse our range of recent projects to get a flavour of what we can offer. If you want to buy from our on-line shop, click here to see our vast range of fencing and landscaping products. Four Seasons Fencing are a progressive fencing manufacturing, supply and installation company based near Ashford in Kent. We can supply and install a vast range of fencing, gate and access control systems ranging from small one off installations through to large commercial projects and we operate on a daily basis predominantly throughout the South East of England however on occasions our projects take us further afield to include nationwide, Ireland and Europe. Our expert knowledge gained from years of experience working in the fencing industry means that we can provide ‘off the shelf’ and bespoke fencing systems to suit any environment including industrial parks, schools, recreation areas, ball-courts, commercial buildings, highways, railways, solar parks and much more. We offer a ‘no obligation’ free site survey to customers looking for a full supply and installation service or alternatively we can supply and deliver the materials for the customer to install. If you are looking for a fencing supplier in Kent, Sussex or the South East, simply get in touch with us today to arrange your free site survey and discuss your fencing requirements with one of our friendly staff. When working on any type of project, whether you are a home owner working on your garden project or as a professional contractor working for a customer, the most important thing to remember is that quality counts. By including quality materials in your project, you can ensure longevity, aesthetic appeal and can avoid the need to replace materials over the course of time. When it comes to fencing, this need for quality is all the more important. Not only will the fencing you erect need to look pleasing to the homeowner, business owner and any visitors, but it also has to serve its purpose i.e. boundary demarcation, high security or control of access and egress. By erecting high quality fencing, you are making a commitment to longevity and security. From the perspective of a homeowner, your fences will need to not only keep a border around your home to ensure the safety of your family, children and animals but will also help to keep intruders away. From the point of view of a business owner or manager, quality fencing is also an essential consideration from a security perspective. Secure fencing ensures that unwanted visitors are discouraged from entering your property or any specific areas (such as those with electrical elements or railways) where their safety could be compromised. In addition, you can ensure the safety of your staff and visitors whilst they are on your premises. 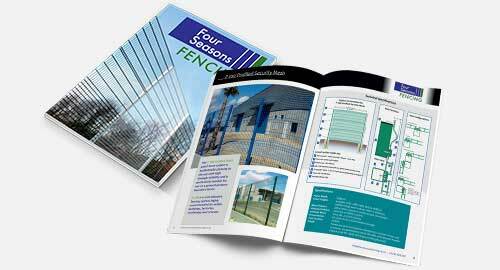 Since 2001 Four Seasons Fencing have been working with customers to provide security solutions of the highest quality. As a fencing contractor based in Kent, our company can provide a variety of solutions which includes the supply and erection of fencing, gates, access control and barriers for the building and construction industries throughout Kent, Sussex, Surrey, Essex, London and the South East of England. In addition, Four Seasons Fencing also supplies to homeowners and private individuals, whilst maintaining the same commitment to quality. See our wide range of fencing, gates and equipment. See our wide range of fencing and equipment for contracting. We offer a diverse range of commercial fencing, gate and access control solutions for a wide range of clients. 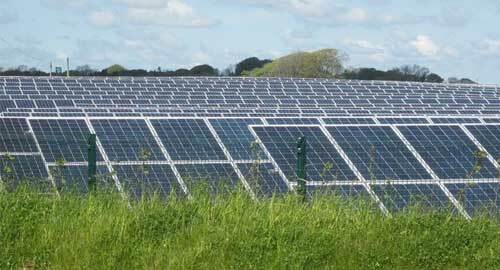 Please feel free to take a look at our recent work and contact us if you have a requirement for a similar project.